Our lifestyle changes from season to season: in winter we prefer staying indoors and cuddling up in a cozy nook, and in summer we love staying outdoors enjoying sunlight. 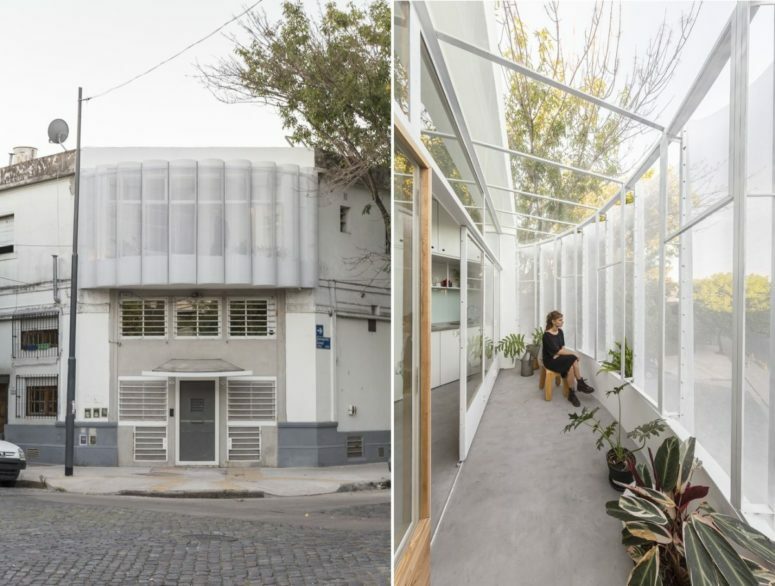 What if you had a home that would adapt to such changes? 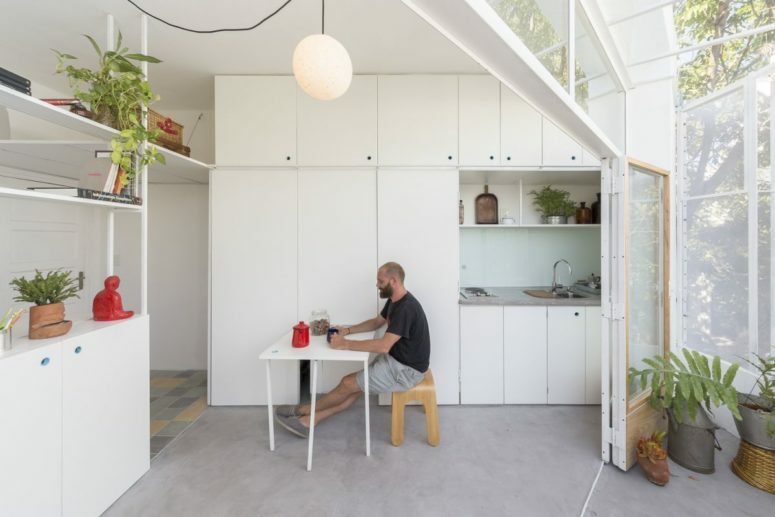 The most accurate example in this sense is an efficiency apartment located in Chacarita, Argentina which only measures 25 square meters in total. The thing that sets it apartment from other small apartments is the fact that it can physically expand in summer and contract in winter. 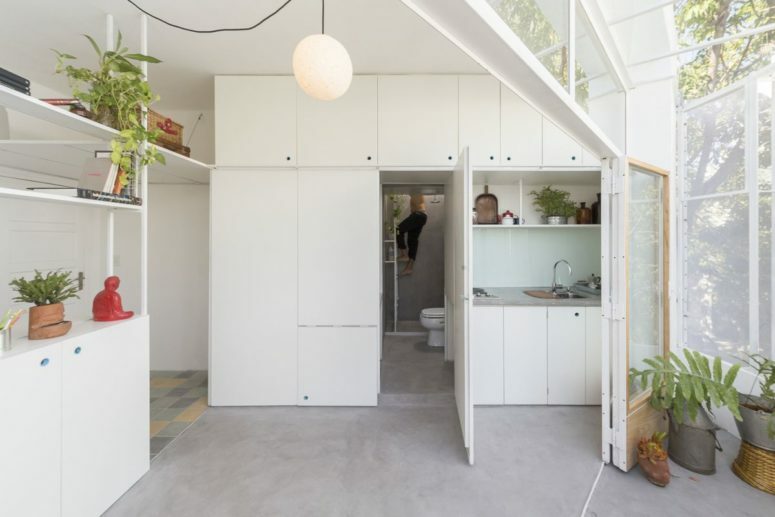 The apartment’s small size inspired the architects to be creative when planning the layout. One side of the apartment features a wall of retractable glass doors which can be opened up completely when it’s nice and warm outside, thus expanding the floor plan to also include the balcony. 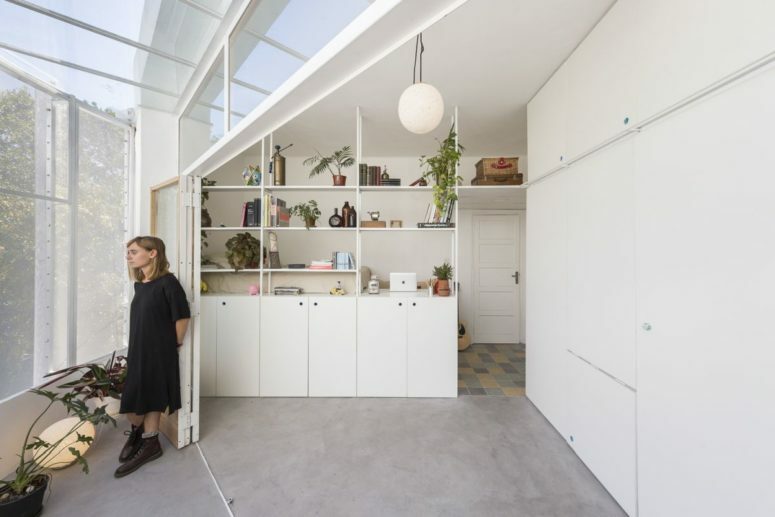 When the doors are open the sunlight rushes into the apartment, instantly changing the ambiance. In winter the doors can be closed to give the apartment a warm and cozy feel. The balcony is curved and has a glass roof which makes it rather similar to a sundeck. 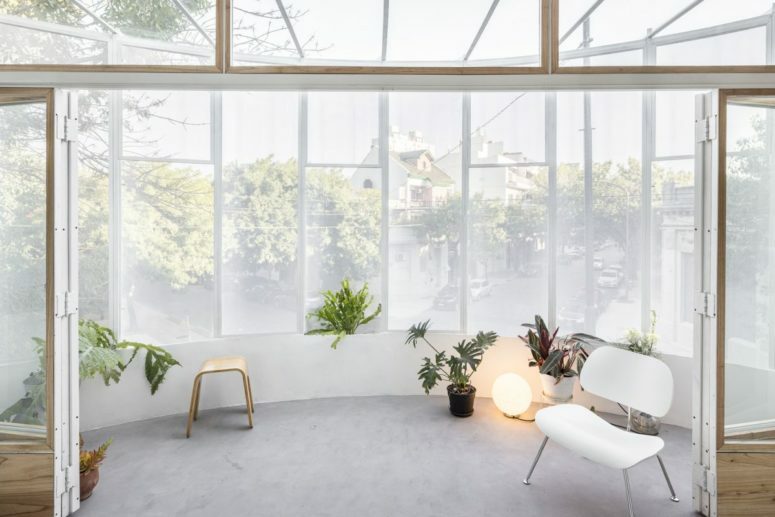 A delicate white mesh ensures privacy without blocking the view. All of this combined with the chic and modern interior design makes this apartment surprisingly user-friendly while also showcasing some of the coolest decorating ideas out there. 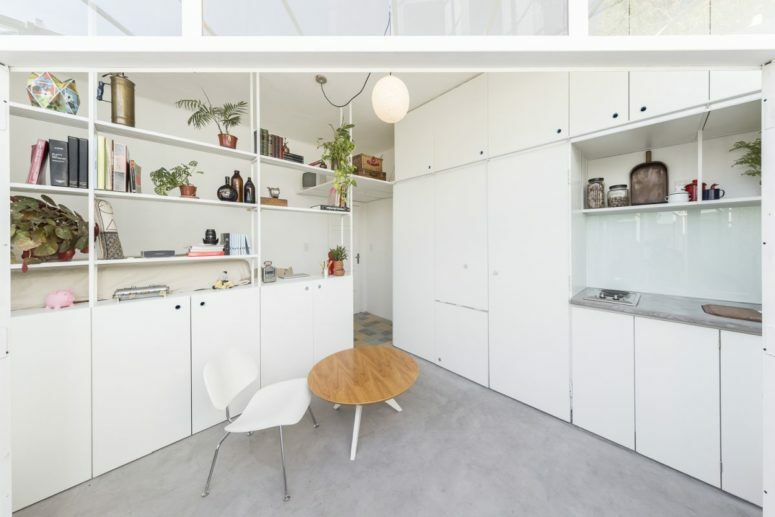 To give the impression of more space, the designers chose white as the primary color for this small apartment. 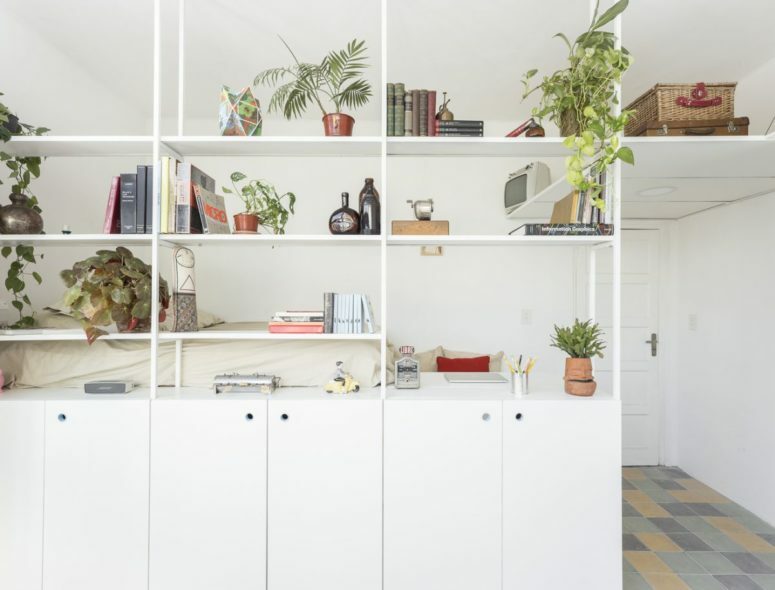 The open shelves act as space dividers and provide storage without closing off the two adjacent areas. Multifunctional furniture ensures a practical and at the same time simple and user-friendly interior design.